Monash Youth & Family Services (MYFS) provides counselling, support and programs that encourage individuals and families to reach their full potential. 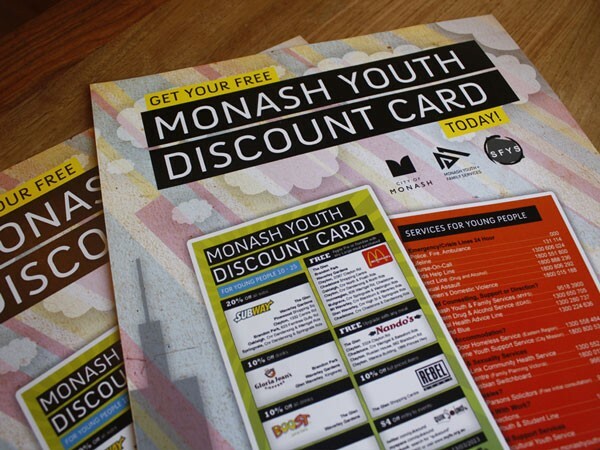 MYFS needed a new look for their 7th edition of the Monash Youth Discount Card. 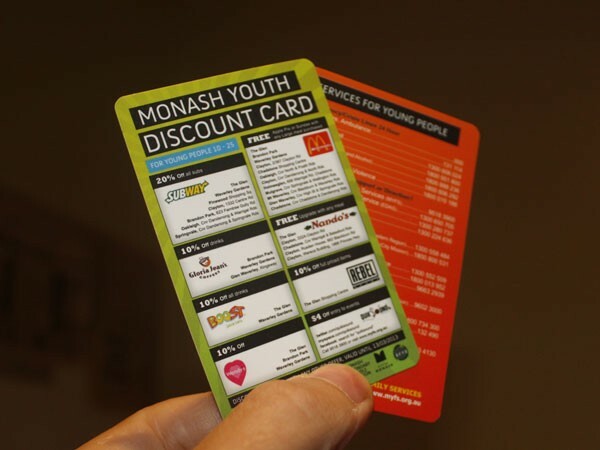 The purpose of the card is to be a resource for young people seeking support/services such as accommodation, counselling, health and well-being, legal hassles, finding work and crisis services. 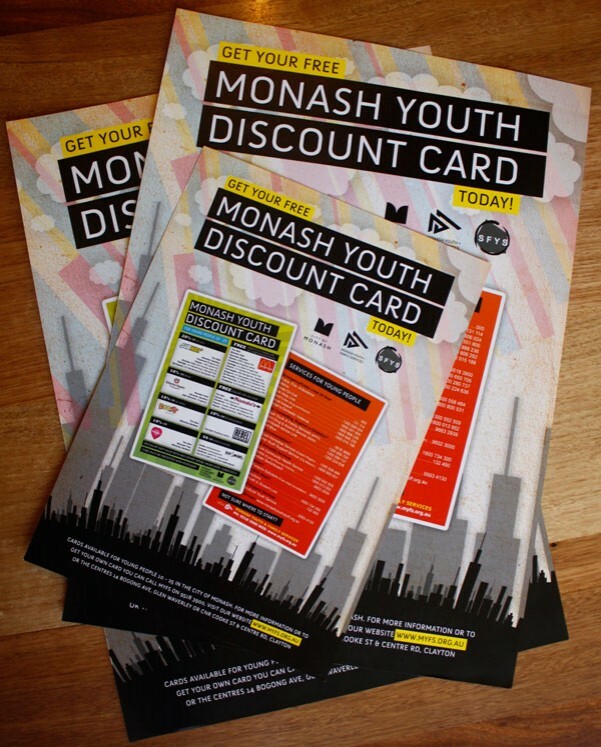 A promotional poster was also designed and sent to local services, libraries, sporting clubs, and every school in the City of Monash. 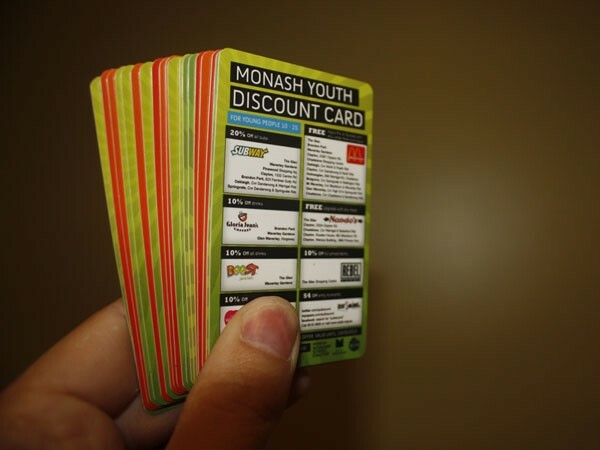 MYFS were inundated with requests for cards by local young people even before the official launch, and has proven to be a successful tool with many young people accessing MYFS having found the number on the card.